Tickets are now officially on sale for the Pre 4/20 Hip Hop Concert happening Thursday, April 18th, at the Bear River Recreation Center! 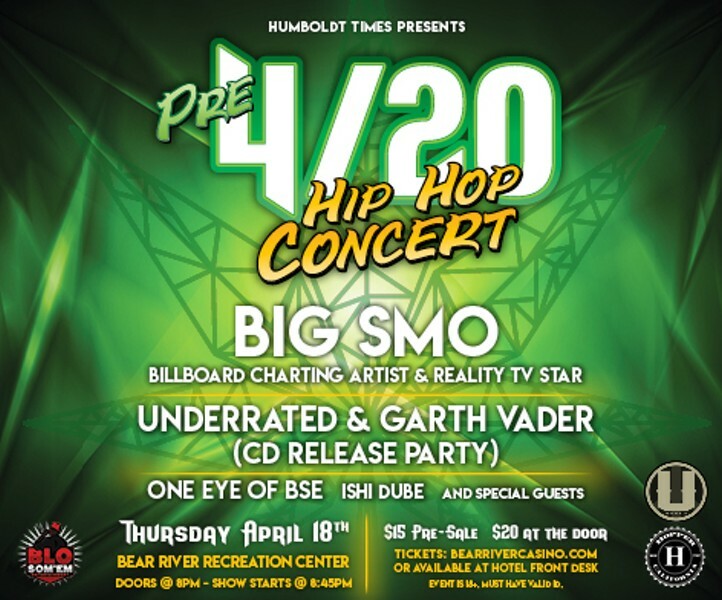 The concert will feature: BIG SMO - Billboard Charting Artist & Reality TV Star UNDERRATED & GARTH VADER (who are also doing a CD Release Party that night) One Eye of BSE, Ishi Dube, and Special Guests! Doors open at 8pm, Show starts at 8:45pm. This is an 18+ event, must have valid ID. Get tickets online or at the hotel front desk.